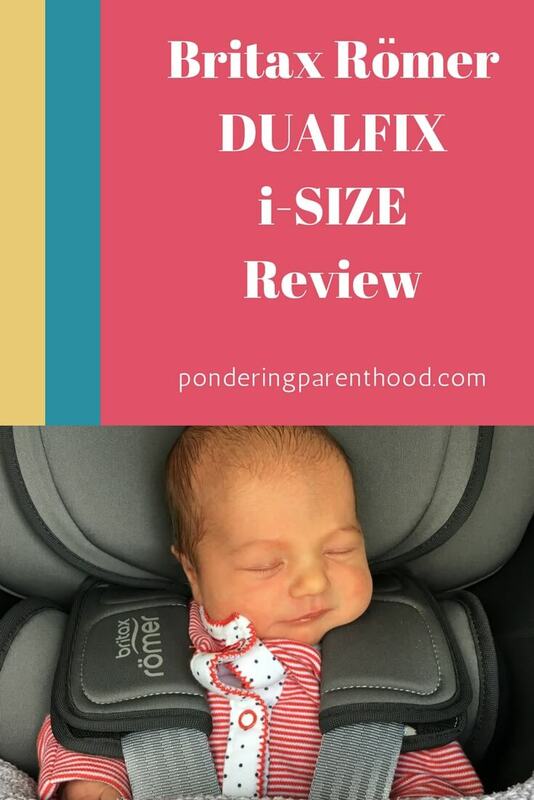 Back in February I wrote about my first impressions of the new Britax Römer DUALFIX i-SIZE car seat, but of course B hadn’t arrived at that point so I couldn’t write a full review. But B is a whole month old now! So, we’ve had a chance to really put the seat through its paces and so I thought I’d take the opportunity to tell you a bit more about what we think of it. 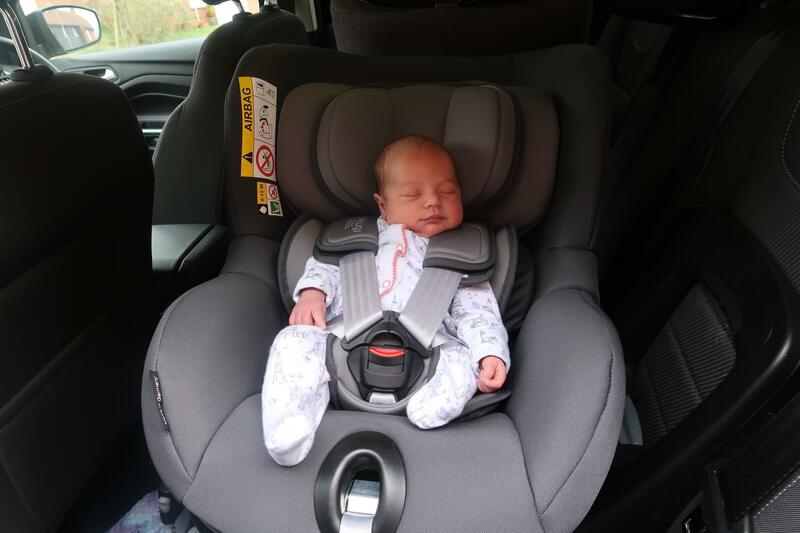 We installed the Britax Römer DUALFIX i-SIZE in our Ford Kuga a few days before my elective c-section, so that we’d be ready to bring B home in it after she was born. I was concerned it might be a bit of an ordeal as I’d found it a bit tricky to install the Britax Römer DUALFIX i-SIZE in our Fiesta, but I needn’t have worried. I think the ISOFIX points are more accessible in the Kuga, because the seat went in quickly, smoothly and easily. In fact, we were pleasantly surprised by how easy it was to fit. Definite brownie points there! The Britax Römer DUALFIX i-SIZE is absolutely brimming with safety features. Firstly, the rebound bar (the bit that fits against the seat of the car) is adjustable, so you can fix it at the best possible angle for the seat of your car. 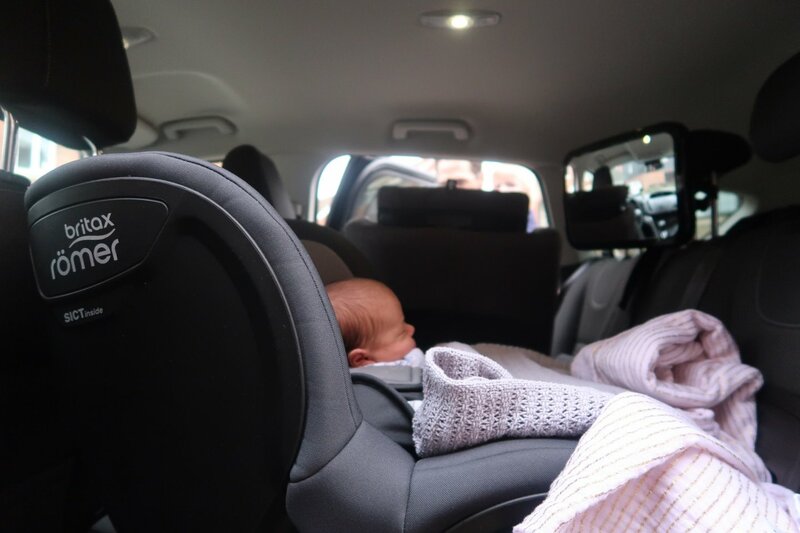 Secondly, the Pivot Link ISOFIX System directs any impact in the best way possible to minimise the chance of head and neck injuries for your baby. The seat also has an impressive wrap-around design to protect the child in case of a side impact. 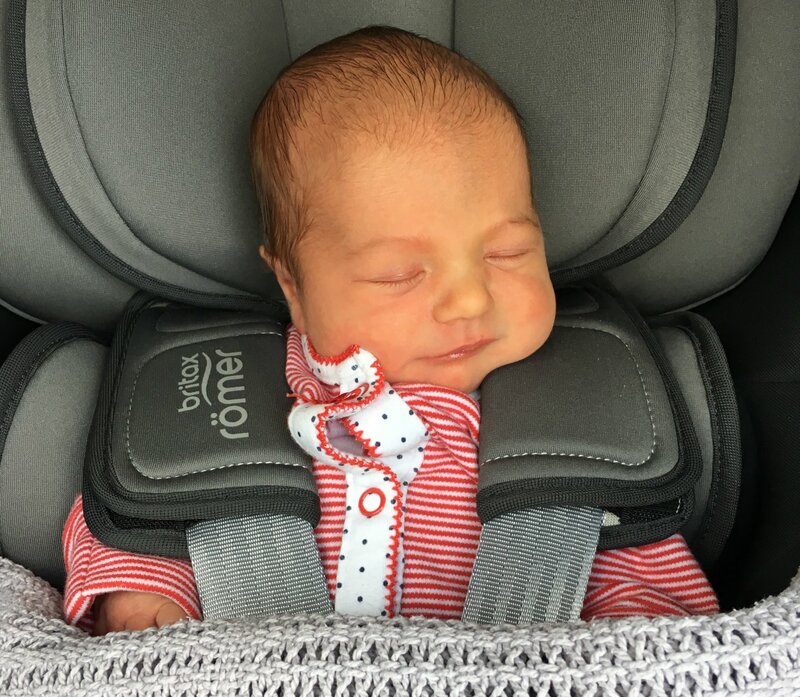 Add to that the multi-position recline and extensive newborn padding, and I’m left feeling confident that B is as safe as she can be in this seat. One of my absolute favourite things about this seat is the 360 degrees rotation. 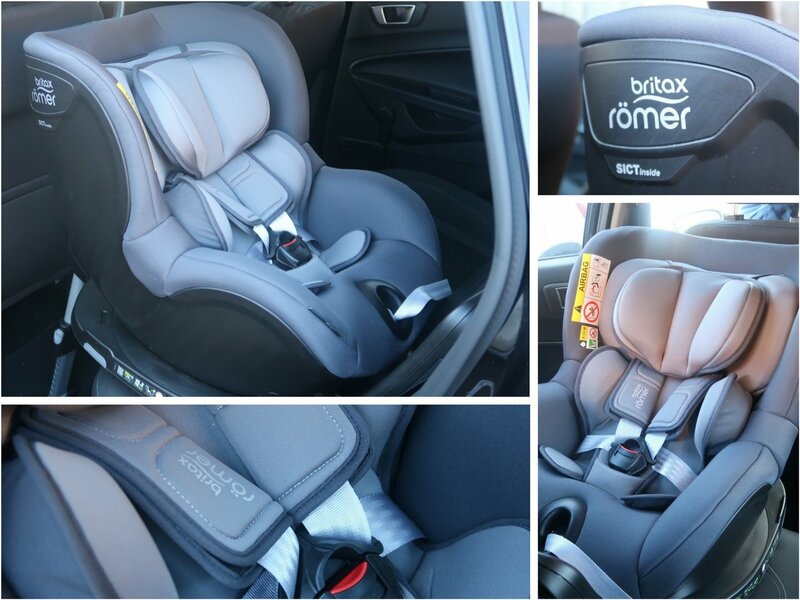 Not only does it mean that the Britax Römer DUALFIX i-SIZE can be used extended rear-facing, but it also makes it so much easier to get the child in and out of the seat. Definitely a luxury I don’t feel I can live without, as M’s car seat also has a swivel function. Like any parents of newborns, we were apprehensive about bringing B home from the hospital in a new seat. 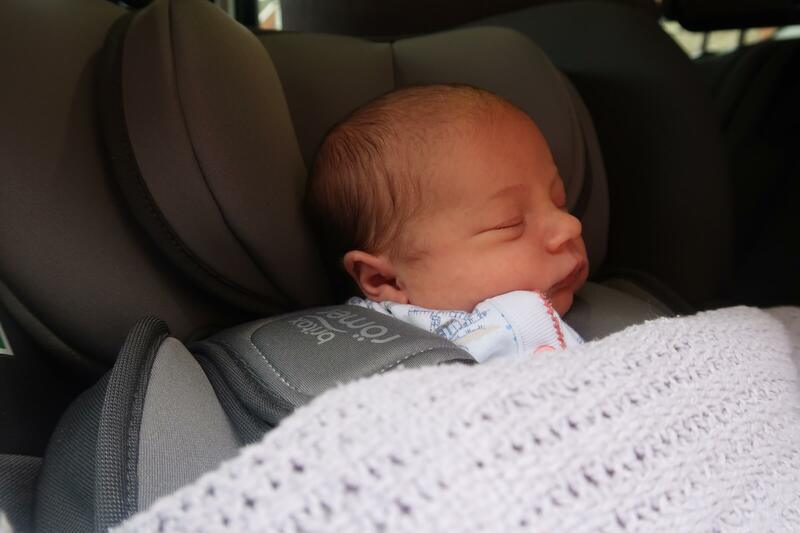 We needn’t have worried, though, as B snuggled perfectly into the newborn seat padding and the five point harness was so simple to fasten and adjust. We’ve used the seat many times since that first journey home and B seems very comfortable. She usually falls asleep within five minutes of setting off! The multiple recline positions mean that we can recline the seat as far as possible. I can feel confident that she’s in the safest position possible with regard to her airway and breathing. The swivel function is also simple to operate. There’s a button on the side of the base that’s easy to press, then you twist the seat towards you. Once baby is safely strapped in, you simply turn the seat into the rear facing position until it clicks. Alternatively, for older children, you can swivel the seat forward facing until it clicks. It’s great that the Britax Römer DUALFIX i-SIZE has the option to be both rear and forward facing. It should last us until B is around the age of 4. In terms of price, the Britax Römer DUALFIX i-SIZE retails at £430. It’s definitely at the more premium end of the scale. However, it can be used from birth up to age four (or 105cm). This negates the need for an infant carrier. When you consider the extensive safety features and the convenience of having that swivel feature, I think it’s well worth the money and I’d definitely consider buying a second one if we needed another seat. Disclosure: I was sent the Britax Römer DUALFIX i-SIZE free of charge. However, all opinions are my own. "Ponderings on Two – Advice from Boo Roo and Tigger Too"